BAKU, Nov. 15 (Xinhua) -- Azerbaijan and Brazil have agreed to broaden trade and economic cooperation, Azerbaijani Foreign Minister Elmar Mammadyarov said here Wednesday, according to Interfax news agency. "Trade between our countries accounts for only 160 million U.S. dollars, which does not satisfy us, so we have agreed to develop relations in trade and economic sphere," Mammadyarov said during the joint news conference with his Brazilian counterpart Aloysio Nunes Ferreira in Baku. 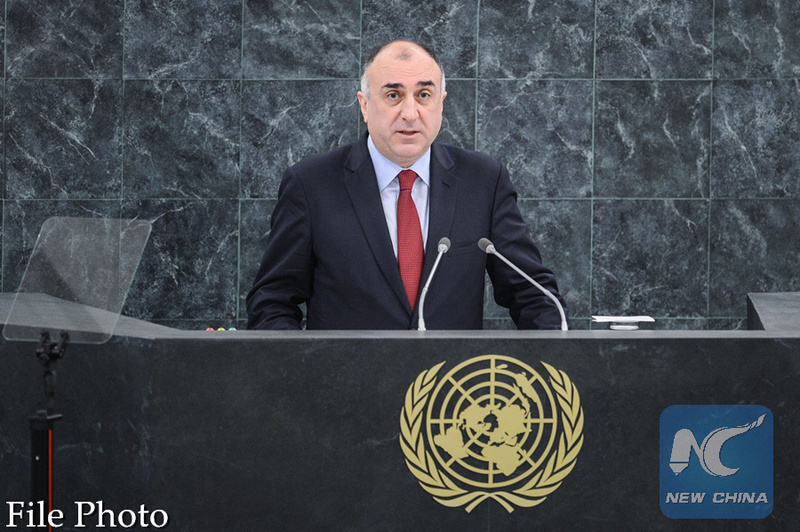 According to Mammadyarov, Brazil and Azerbaijan will hold political and economic consultations next year. "Political consultations will be held in Azerbaijan, while economic consultations are due in Brazil," he specified. "It is necessary to conduct business forums with the participation of Azerbaijani and Brazilian businessmen for the expansion of trade and economic ties," the minister added. The ministers discussed the current status of relations between the two countries and future prospects. Both ministers underlined the significance of intensifying high level visits to enhance cooperation, exchanged views on prospects for development of cooperation in such areas as humanitarian affairs, education, agriculture, energy, food industry and tourism. The sides also exchanged views on the international agenda including the UN Security Council's reform process.